Perfectly calibrated for 3-gun competing or close combat. Compact. Accurate. 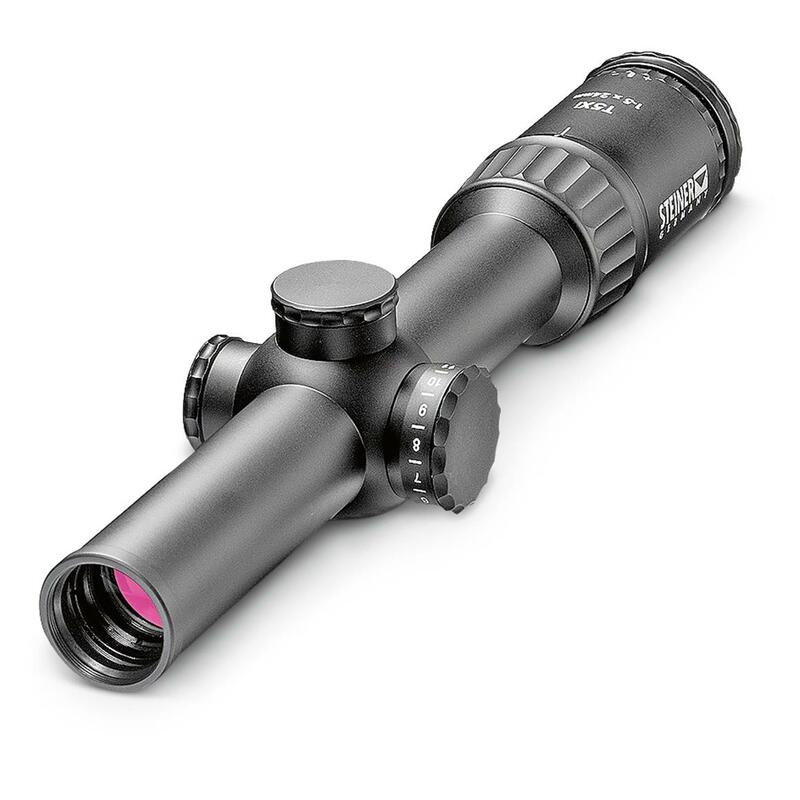 This Scope offers true, 1X low-end magnification for both-eyes-open shooting and situational awareness... perfect for a 3-gun course or the battlefield. Use it for close combat, but it also has the power for distance shooting. The 3-Gun Tactical ReticleTM has an easy-to-locate center dot and stadia lines to engage targets even over 600 yards away. All adjustments are signaled with a distinct click and positive feel. Precise German engineering. Rugged USA construction. You won't be disappointed with this Scope. Top Steiner quality that's sure to meet and exceed your expectations! Order today!